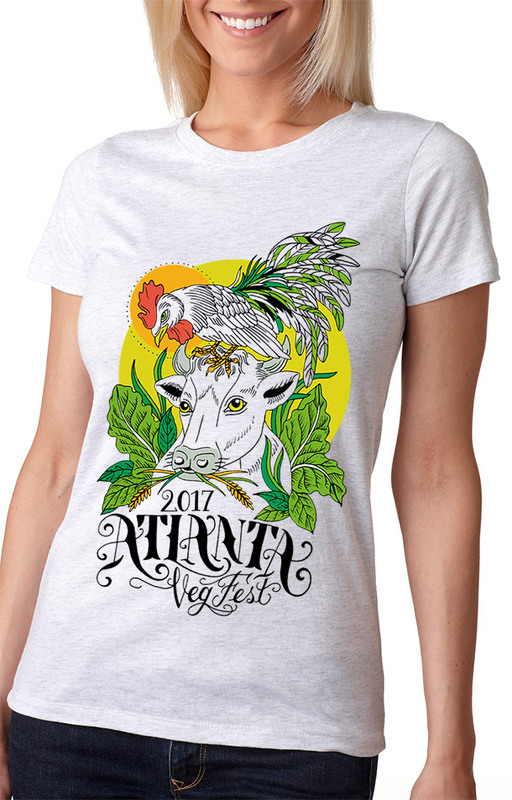 To help raise funds for Atlanta Veg Fest, we are pleased to present limited-edition T-shirts with a design by local vegan artist Danielle Distefano. 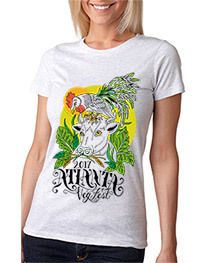 In order to guarantee you get a shirt in your size, we recommend pre-ordering one now. 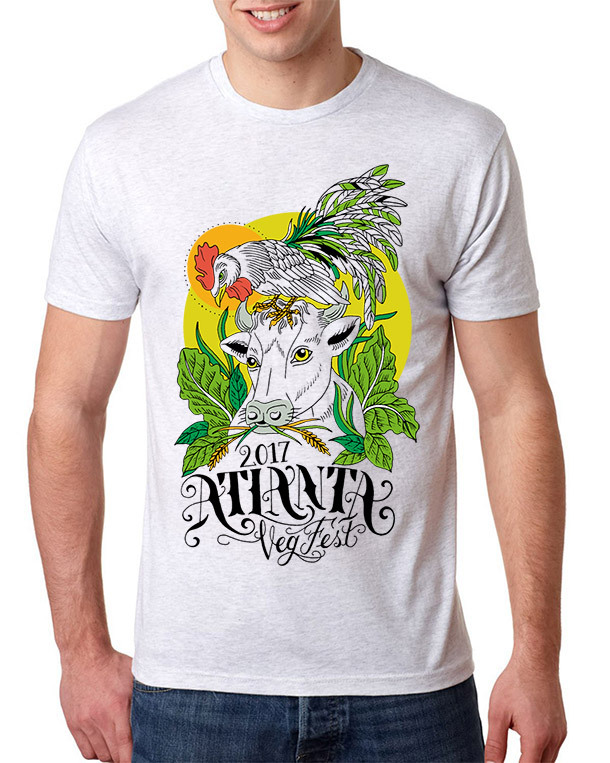 They will likely sell out the day of the festival, so don’t wait! 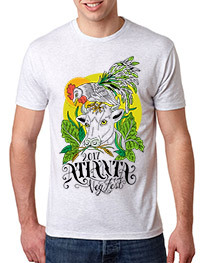 All merchandise is now available for pre-order and will ship by the first week of November. Prices include shipping within the U.S. For a shipping quote outside of the U.S., please contact us and we’d be happy to help.